Liverpool ready for Chelsea test as the race for the title hots up! Liverpool welcome back a trio of stars as they prepare to take on Chelsea at Anfield in what experts believe is their biggest potential banana skin in the run in for the Premier League title. 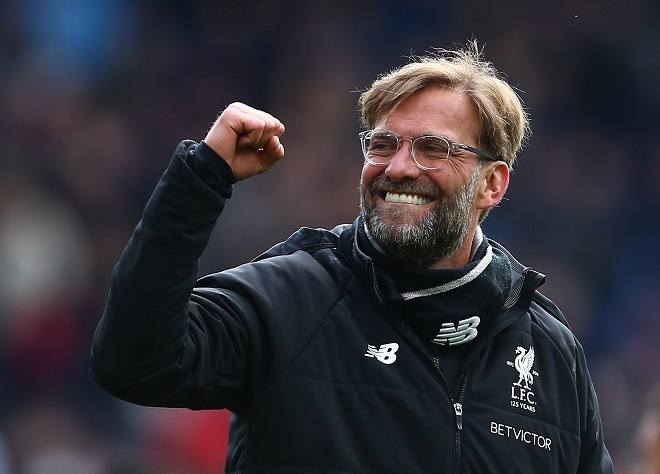 Currently sitting two points clear at the top of the table having played a game more than title rivals Manchester City, Liverpool boss Jurgen Klopp will hope his squad take the three points in what will be his 200th game in charge. Recent history against Chelsea see’s the blues having to go back seven years since they won at Anfield, with a run that contains the infamous Steven Gerrard slip and the Demba Ba goal that cost Liverpool the title four years ago. “I feel the positive energy. It's a massive change from surprise we are up there to getting used to it and getting more confident. “The five or 10 seconds after the Tottenham equaliser [at Anfield two weeks ago] was the best reaction in the stadium. We really feel as one with the supporters as a whole group. You don't walk alone, you're never alone in these situations. The German will have Andy Robertson back in his squad after missing their mid week champions league win of Porto due to suspension. While also looking at a possible return to the starting line up is Joe Gomez who made his return to the first team squad from the bench against Porto after a lengthy absence, while Adam Lallana is also back into contention for a spot on the bench. The visitors who sit in thrid place on the table are still in a battle for one of the remaining two top four places and the guarantee of Champions League football that comes with finishing in the top four. With Only five points separating themselves and Manchester United in sixth place ever point counts with only five games remaining although Arsenal in fifth and United have a game in hand over Chelsea and fellow Londoners Tottenham in fourth. “To face Liverpool is going to be difficult for us but every game now is difficult. Team wise he will recall Belgium international Eden Hazard who was one of several players rested for their mid week game along with England International sanitation Callum Hudson Odoi who also missed the game in the Czech Republic. While left back Emerson who missed the game due to injury will be assessed by Chelsea medical staff on the day before a decision is made on his availability. Klopp confident of what his side can achieve this season.